Comments Off on The Next Wave of Apprentices are Coming – is your company ready? Today’s students are graduating with an ease and comfort around technology and they’ll likely be bringing it to work. But are employers equipped to work with this next wave of technologically savvy apprentices? In 2012, The Economic and Social Research Council found that social media, including instant messaging, texting, social networks and downloading video, was actively used by students 20 and under. Only 4.3 percent of those 20 or younger never using social networking sites, by age 35 the nonusers increased to 78.5%. So what does this mean for trades industry and corporations? Graduates look at technology differently. Today’s apprentices will graduate with a high comfort level on the various uses of technology in the workplace and employers can either grab on and embrace it’s benefits or risk lagging behind for lack of innovation. 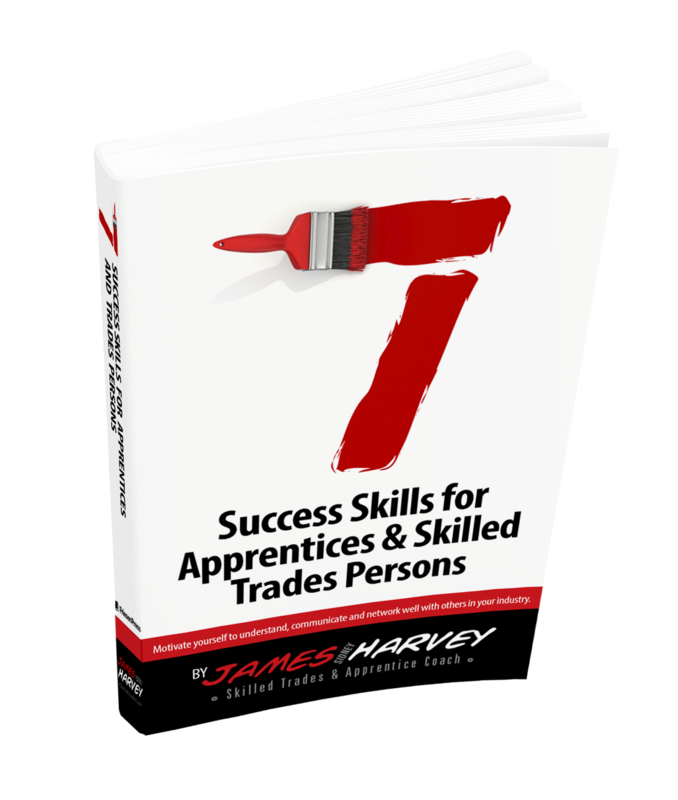 In my book, Seven Success Skills for Apprentices and Skilled Trades Persons, I challenge both skilled workers AND employers to think about the tools they will need to adapt in their current roles and if they are truly committed to never stop learning on the job. Smart phones, for example are for more than just texting, they can be used as a research tool, for sourcing parts, interactive communication (using Skype), even GPS to help you find the next job. Frequently used resources like the Ontario Building Code, Auto CAD, and other applications can also be accessed with a click of a button. These kinds of tools are being used in College and training classrooms today because they enable people to source information more readily, solve problems quicker and talk to other experts as a part of career development. But there is a disconnect between the skills graduates are trained on and what employers are willing to accept. Having worked as a Tool & Die maker for 30 years and as an onsite mentor for various trades companies, I have helped bridge the gap between the technological knowledge of the student and the employer’s needs. I have surmised that despite the value, employers are resistant to accepting full use of technology at the workplace for two reasons: lack of knowledge and fear of change. Employers should not let the potential abuse stop them from integrating new technologies, instead, they should put the tools in place to provide guidance, training and support on how to integrate technology. On the flip side, if employers revert to an older model of teaching and resist suggestions for change or improvement, the apprentice may become frustrated with an environment that they feel is outdated and lacking innovation. The truth is, it’s up to ALL parties to keep updated, add value to the job role and to seek out continuous opportunities for learning. For this to happen there must be willing and open channels of communication at all levels of the organization – one on one, top down, and down up! Bringing in a coach can help to break down barriers, foster communication and introduce new skills. They can demonstrate which tools should be integrated; provide training on how to use them and guidelines to ensure that the technology is used for work purposes. Technology can be an afterthought, but it is a necessity for today’s trades environment. James Harvey: Mentoring in Skilled Trades only part of solution.